Discussion in 'Star Wars: The Rise of Skywalker' started by SWNN Probe, Feb 11, 2019. As the end to principal photography for Star Wars: Episode IX nears, more actors, performers, and characters are announcing the completion of their work on their parts in the film. Jimmy Vee, the actor who took over R2-D2 for the late Kenny Baker, is the most recent to indicate he has just wrapped. 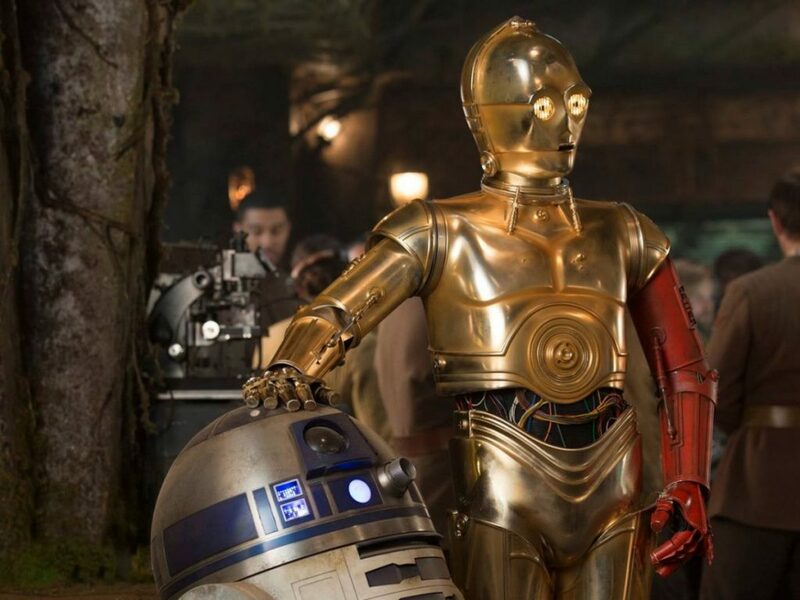 It is a bittersweet moment to consider both C-3PO and R2-D2, the two that started it all over 40 years ago, may have just finished filming their final appearances together in Star Wars. 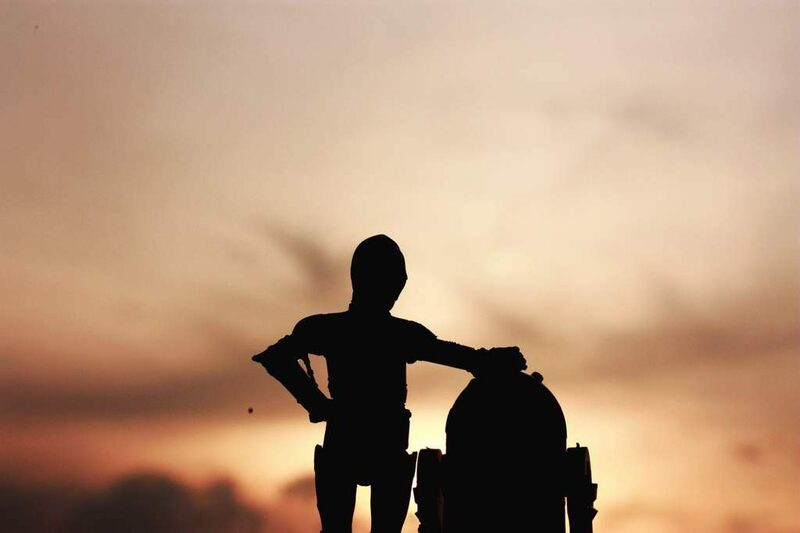 One criticism widely felt from fans of the sequel trilogy, has been a lack of Threepio and Artoo scenes. By Jimmy Vee's tweet it sounds like that may have been rectified in the final installment, specifically telling Daniels it was a pleasure working with him. 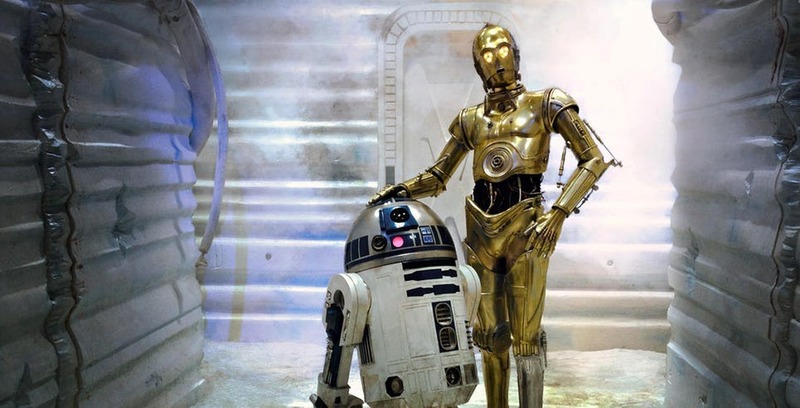 R2-D2 and C-3PO served as the mainstay comic-relief pairing since the opening scenes of Star Wars back in 1977. They are without question the Laurel and Hardy, or Abbott and Costello of the franchise, and it is only fitting the two share more time together in what may very well be their final appearances in a Star Wars movie. It is bittersweet to think of it this way, but at least we can hope for more sass and banter between the two to close this thing out. And while they bicker and fight, we all know there really is no better pair of best friends in the galaxy. While this may be the last time we see R2-D2 and C-3PO together in a Star Wars movie, let's all embrace the fact that we get to go on one more adventure with them this December in Episode IX. Noo I am most definitely not crying. Why does C3-PO have a red arm again? Thought they got rid of it by the time TLJ happen? That's just a picture from TFA. Oh okay. That makes more sense. I have a hard time putting this on the list of "Acceptable changes to Star Wars". Like dying...still torn with whether or not that's still true, but if so, it was also inevitable. Leia dying...we have no choice. But losing R2 & C3PO?? They're droids...they could be with us forever. Nostalgia....yes, but still, no...just no. Totally agree. I don't see why we can't have 3P0 and R2 with us, unless the D&D trilogy is set in the far past. Otherwise they are part and parcel of the Star Wars universe. I don't mind Luke dying, but combined with Han dying (I saw that coming a million miles away... Harrison Ford was too darned positive about how great TFA was in the promotional tour) I think Luke should not have been killed off. But oh well. What's done is done. I'm not convinced yet that Leia will/must die. Making her the only survivor of the Old 3 in the ST would be the greatest thing to do. I feel almost guilty that I pretty much enjoyed the only SW Movie without them. And there we have the real reason why Solo "bombed". I had no idea they still have a need for a human performer inside the suit. What would be the purpose with today's technology? I take it you mean for R2? Because the actor gives the suit personalty that CGI or remote controls can't give. I doubt we would be able to tell the difference. It's not just about what the audience sees, but what the actors see and feel as they act. It helps them in giving more natural reaction when being with R2 and there was always a human and personality touch in R2 that a robot controlled by controls cannot convey.